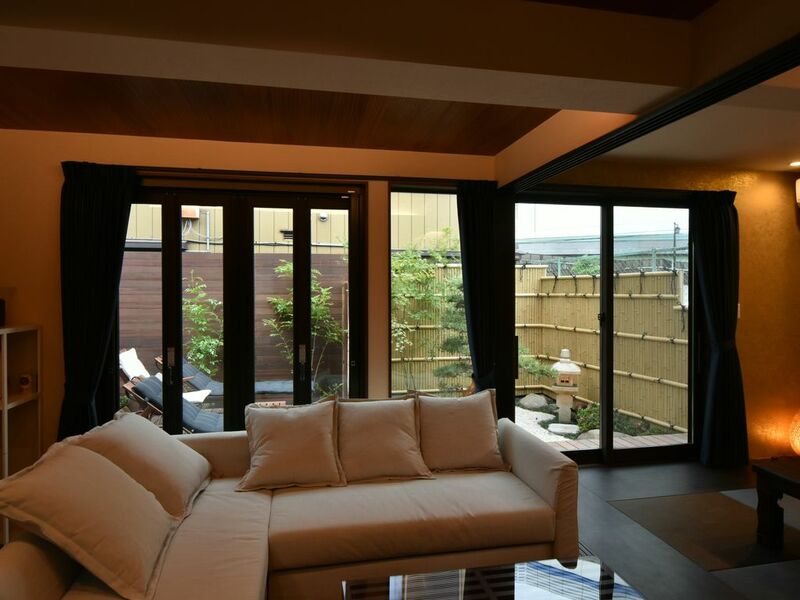 Asakusa-East-House has full of Japanese character and can accommodete up to 18 people. We have small Japanese garden and Japanese room and bath which wall is written Mt.Fuji. You can see Tokyo-sky-tree from living room and 1bed room. Japanese room is above the living style means to respect our guest. That room is inspired by Golden tea room which was loved by Japanese old General and inspired by Kinkakuji-temple at Kyoto. Kinkakuji-temple is the world heritage. Japanese garden is lit up and you can see it from the balcony.